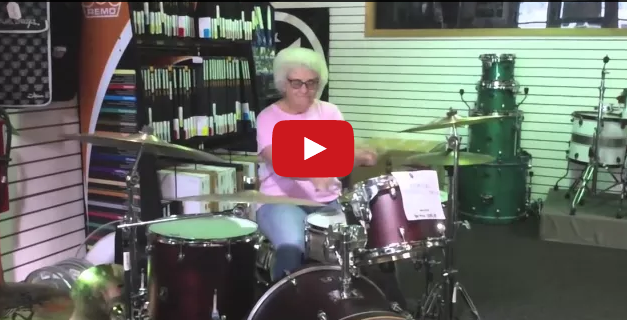 This Grandma Walks Into A Music Store, All You Can Say Is ‘WOW’! She is called ‘Mary the Grandma Drummer’. She is ultimately the coolest grandma ever! Mary walked into a local drum store, sat down, then the magic happened. She blew everybody’s mind. We would love to know her history, was she in a band in her younger days? Maybe she’s in the band now. You have got to see this for yourself! If you think this is amazing, share it with your music loving friends. He Cut A Hole In A Potato Before Cooking It, Wait Until You See Why!